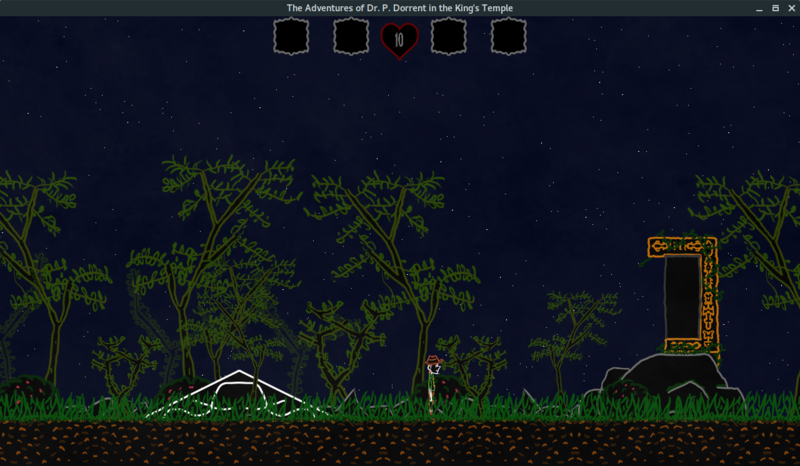 Help Dr. P. Dorrent to find all the treasures in the King's Temple. 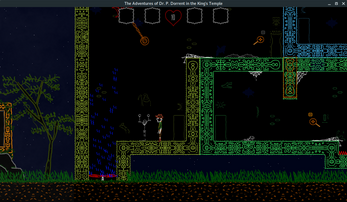 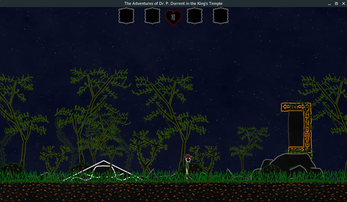 The Adventures of Dr. P. Dorrent in the Kings's Temple is a platformer adventure under development. 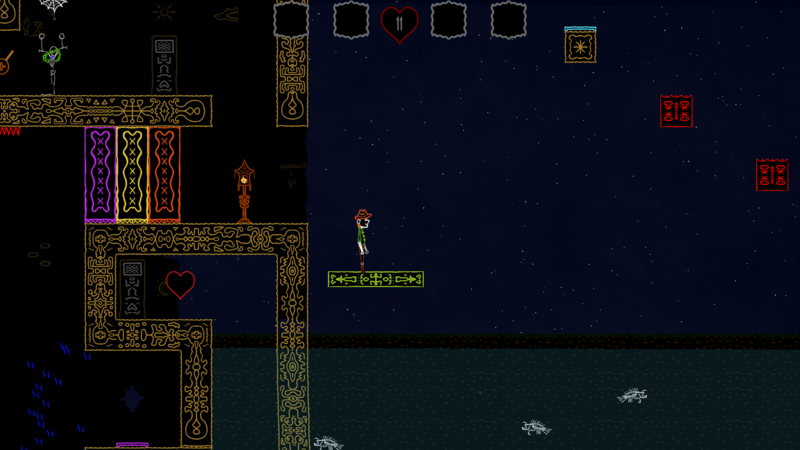 Game, art, sound, code by pcmxms. 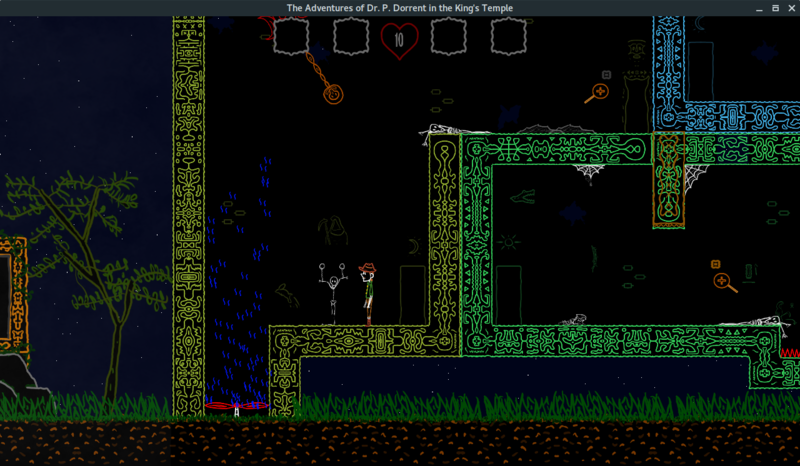 Really liked so far. Great job!